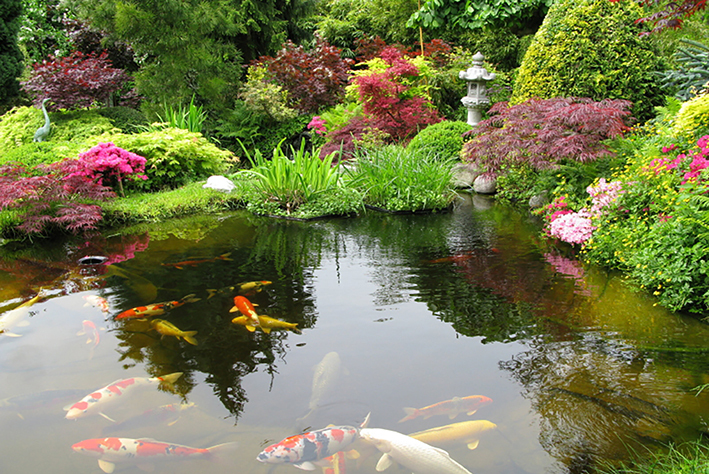 Japanese Gardens are part of the great tradition of landscape design. Did you know there are five basic styles of Japanese Gardens? Each highly stylized, they all have a specific theme and purpose and use plants and objects as symbols. Tea gardens were created as part of the traditional tea ceremony which features in traditional Japanese culture. The gardens were designed to be an intimate space for meditation and preparation before participating in the tea ceremony. They included architectural elements such as a water basin for cleansing and benches for resting. In a modern setting, they can be a secluded garden space attached to the home that is entered via a leafy pathway, nestled in dense greenery that provides quiet relief from busy lives. Promenade gardens were built to play on the existing natural elements of a larger landscape including mountains, forests, watercourses, lakes and oceans. The gardens were formed around a network of walkways; playful but highly controlled they concealed and revealed the views and highlights to visitors at precise points for maximum impact, to delight and surprise. As they name suggests, courtyard gardens are tiny walled gardens located within or adjacent to a residence or building. Originally intended to be viewed rather than inhabited, the little gardens were ornamented with lanterns, basins, stepping-stones and plants. Modern Japanese courtyard gardens offer the all the pleasure and relaxation of a small garden within a home; they are meant to be used and enjoyed. Simple, modern and architectural, originally used to define sacred spaces, modern Karesansui or Zen gardens are familiar to all. 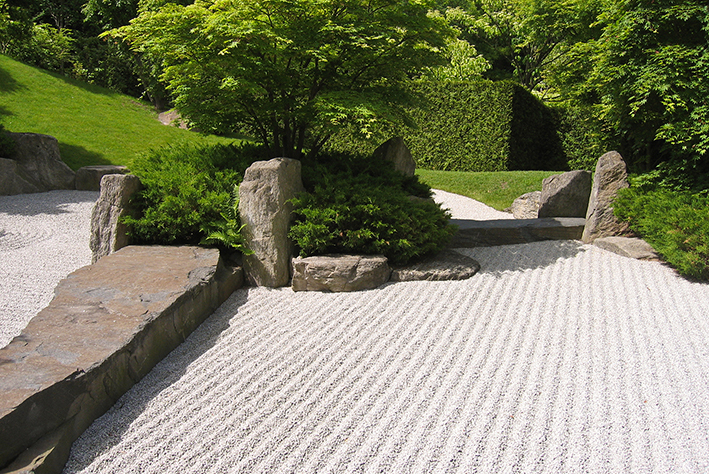 Using fine pebbles, stones and sand they are garden for quiet contemplation and reflection. Perfect for small spaces, they can encompass a whole site or be a feature within. The pebbles, stones and sand are raked ritually into shapes that represent nature; water, hills and mountains and are interspersed with carefully positioned rocks and stepping-stones. Which of the five styles appeals to you? Talk to Simon about your garden or courtyard and see how any of the elements from the five styles could be married in a beautiful, relaxing, peaceful Japanese inspired retreat.